We'll get help to you quickly, and pay for the call-out and any labour needed to see you on your way. If we can't fix things quickly, we'll take you and your passengers to a garage, or home, or to wherever you need to be. If you can't start your car, or break down near your home, we'll send help and pay call out and labour costs to get you started again. Flux Rescue offers up to 60 days extended cover in most EU countries. BROKEN DOWN? HERE IS HOW FLUX RESCUE WILL HELP YOU! If you break down, Flux Rescue will arrange help at the scene and pay for any call-out and labour charges to get you on the move again.. If your vehicle cannot be repaired at the roadside, you, your vehicle, and up to 5 passengers will be taken to a garage, your home, or a destination of your choice. If your vehicle breaks down at or near your home address, Flux Rescue will arrange and pay for call-out and labour needed to start your vehicle. If it can't be repaired quickly, we'll pay the costs of taking it to the nearest available garage. European Cover Up to 60 days cover in total, as long as each trip is less than 31 days in duration. 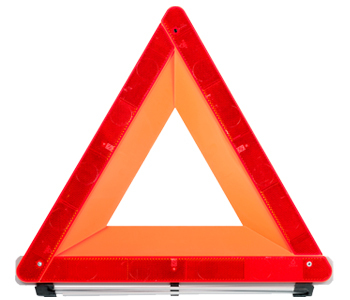 Roadside assistance - up to £250 to arrange roadside assistance. Recovery - we will arrange and pay for your vehicle to be recovered to a nearby garage. Hire of a replacement vehicle*. A chauffeur if the only driver is incapacitated*. Rail fares to finish your journey*. Costs of recovering the vehicle home if it cannot be repaired before your planned return OR airfare to collect the vehicle following a repair*. Emergency repairs following a break-in*. Flux Rescue's call centre and our recovery vehicles operate 24 hours a day, 7 days a week, 365 days a year. Our network of over 1,800 breakdown and recovery specialists means that no matter where you are, we aim to reach you quickly. Simply call our freephone helpline, and we will do the rest, we'll even call your family or colleagues if you like. Your European holiday can be stress free, with the knowledge that we can help if you break down on the continent. If you break down towing a caravan or trailer, it gets the same assistance as your car. This insurance is arranged by Adrian Flux Insurance Services on behalf of: Trinity Lane Insurance. See the policy booklet for full terms and conditions. Price quoted applies to cars and small vans up to 3500kg. * Particular conditions apply, see policy booklet for full details. European countries covered are as follows: Andorra, Austria, Belgium, Czech Republic, Denmark, France, Germany, Gibraltar, Greece, Republic of Ireland, Italy, Liechtenstein, Luxembourg, Monaco, Netherlands, Norway, Portugal, Slovak Republic, Slovenia, Spain (including Balearics), Sweden or Switzerland. Adrian Flux Insurance Services, 2016. All rights reserved. Adrian Flux is authorised and regulated by the Financial Conduct Authority (FCA) registration number 307071. You can write to us at Adrian Flux Insurance Services, East Winch Hall, East Winch, King's Lynn, Norfolk, PE32 1HN.